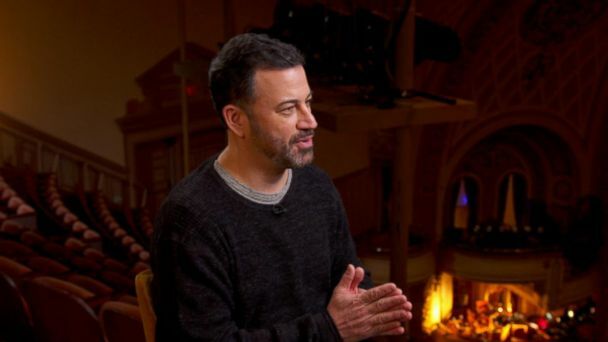 Follow the latest Jimmy Kimmel news, videos, and analysis from ABC News. Jimmy Kimmel congratulated President Donald Trump on "convicting himself" in the Russia collusion investigation after the president posted tweets that the comedian says will come back to haunt him. "Our president is a liar and not even a good one,” according to Jimmy Kimmel. Plus, ABC News' Cecilia Vega dons a green shirt and has fun with various green screen effects live on "GMA." 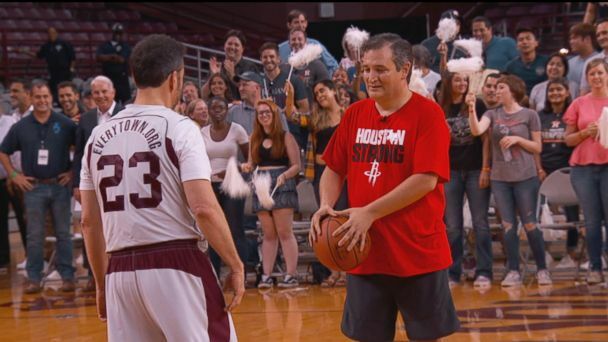 The late night host and the Texas senator got together for a good cause and went head to head for what will now forever be called the "Blobfish Classic." 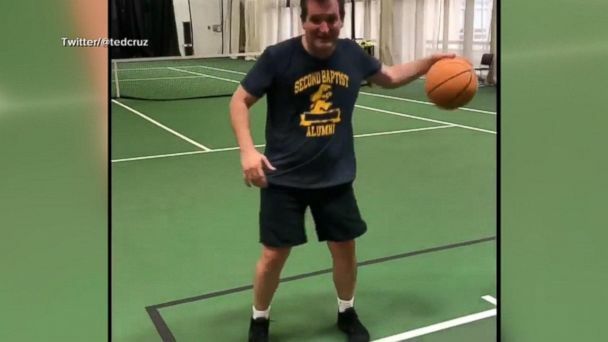 The late-night show host and the U.S. senator played for charity. 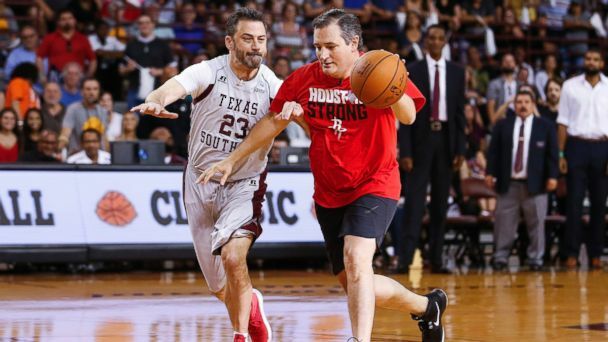 The late-night TV host and the senator from Texas are playing a one-on-one game of basketball in the Blobfish Basketball Classic. Jimmy Kimmel also thanked doctors and nurses who performed two open-heart surgeries. The Massachusetts lawmaker said he's standing firm on his position against legalizing pot. 'I’m mentally freaking out [because] I’m on a talk show in a towel,' Jenna Fischer said. Kimmel's son Billy was born with a heart defect and has undergone two surgeries. President Donald Trump called the nation's libel law "a sham and a disgrace." 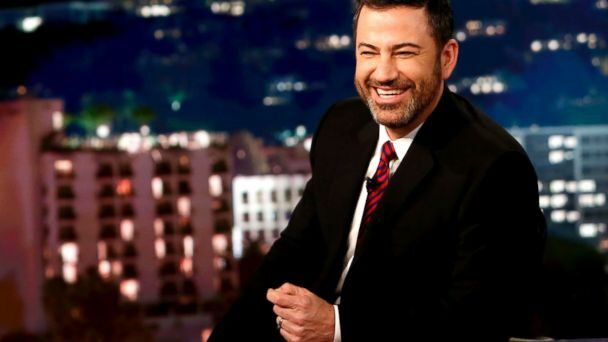 "Live" host Jimmy Kimmel did his opening monologue with 7-month-old son Billy in his arms after taking a weeklong hiatus for the boy's heart surgery. The "Jimmy Kimmel Live!" host will take the week off to be with his family. 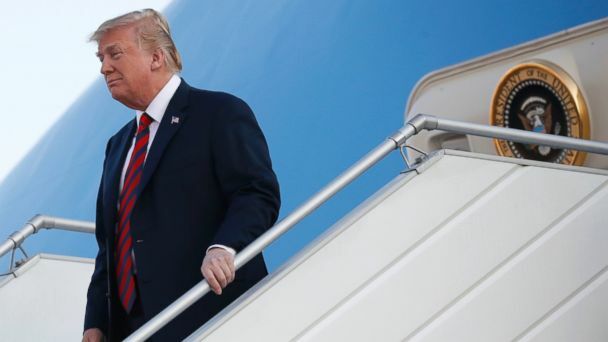 President Donald Trump immediately chimed in on Matt Lauer's firing from NBC News on Wednesday, but considering his own past some late-night hosts said it's a topic the president should stay far away from. 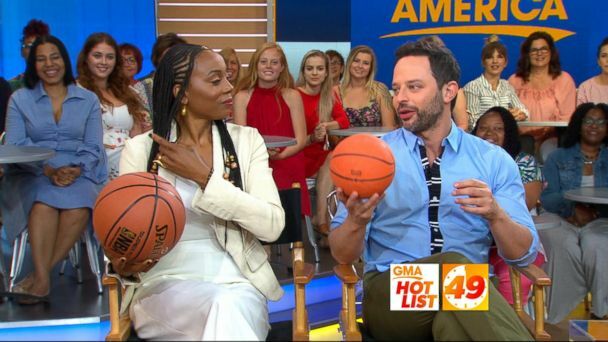 The late-night TV host jumped on the opportunity to mock the moment. 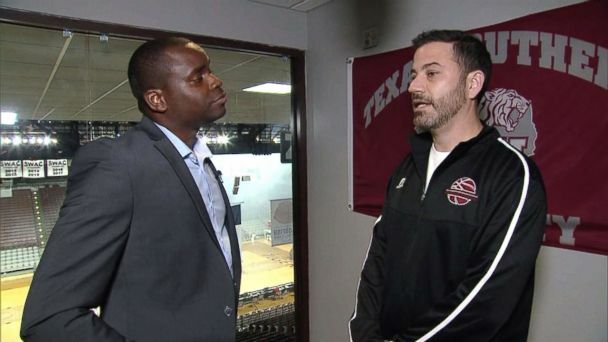 Kimmel discusses his career as an on-air comedian and what viewers can expect from his new TV show. Letterman opened up about what his life has been like since retiring two years ago from his own late-night TV show during an appearance on Jimmy Kimmel's show in Brooklyn. Jimmy Kimmel sat down with comedian David Letterman in his first late-night interview since he retired in 2015. "Blade Runner 2049" star Ryan Gosling joined Jimmy Kimmel Tuesday night to promote his new film, but he admitted that in the aftermath of Sunday night's tragedy at the Route 91 concert, it was difficult to talk about the movie. 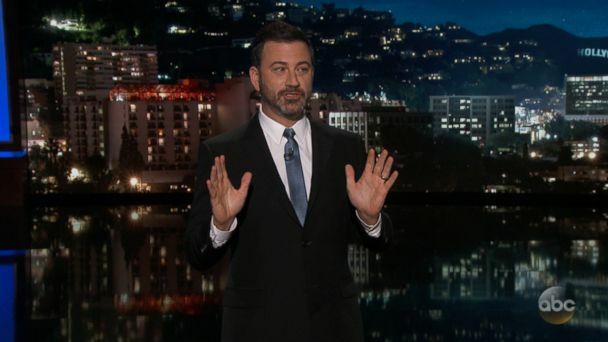 Jimmy Kimmel returned to the topic of health care reform during his monologue Monday night. "If you think a nasty tweet will shake me, you are mistaken," she wrote. The late night host criticized President Trump about his comments regarding the violence against protesters in Charlottesville. After Jimmy Kimmel opened up about his newborn son's emergency heart surgery in May, he received an outpouring of support from fans. Kimmel delivered an emotional update on his newborn son's condition and a defense of his foray into the country's debate on health care. The late night host gave an update on his son Billy's health and took on critics of his call for health coverage for children. Kimmel posts a note of thanks for the outpouring and support from fans after sharing his personal story of his son's open-heart surgery. The late-night host revealed Monday that his son was born with a heart defect. Jimmy Kimmel opened up about his son's heart condition in Monday's monologue. 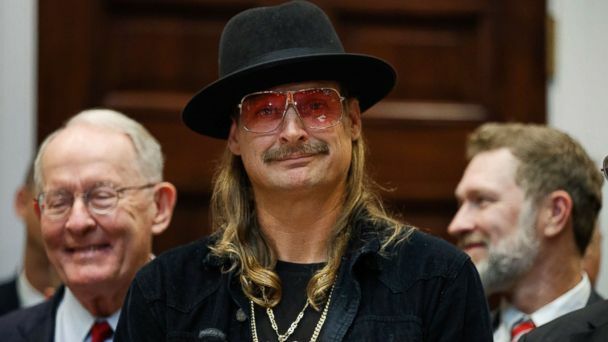 The late-night TV host held back tears as he announced that his newborn son, William, had to undergo emergency open heart surgery. Jimmy Kimmel reveals details about his newborn son's birth and open-heart surgery.